Last week we had such an invigorating experience teaching and learning at the Family Roots Expo! It was wonderful to meet some of you, share what we’ve learned in our work, make new connections, be inspired, and learn from other experts. If you couldn’t be there in person but want to know what we taught, we’re offering our presentation slide decks as a free download! Hilarie taught a class chock-full of guidance and tools for writing an impactful personal history or life story. 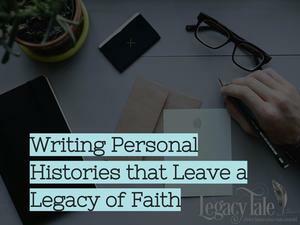 How can I capture a loved one’s history? What pictures should I include in my history? How do I handle sensitive information in writing my history? What’s the best way to print or share family stories? Together, Ben and Hilarie taught another class about how to calm the chaos and manage the mess while preserving what’s precious when it comes to family memories. 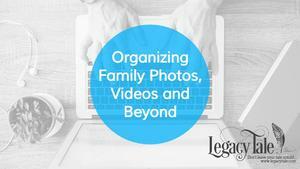 How can I get my digital photos organized? What’s the best way to preserve old analog photos? What should I do with family video? Can I save that special voicemail of Grandma (or my kids!) singing Happy Birthday to me? What do I do about the piles of precious artwork created by my kids? And Ben talked a fair amount about how to use one of our favorite, FREE tools: Google photos! If you’d like copies of both sets of the presentation slides, which have built-in links to additional information, click below for a free download. By providing your email, you’ll be subscribed to our FREE weekly email newsletter for more tips and inspiration.